Throwing a favorite things party is one of the easiest parties to host. 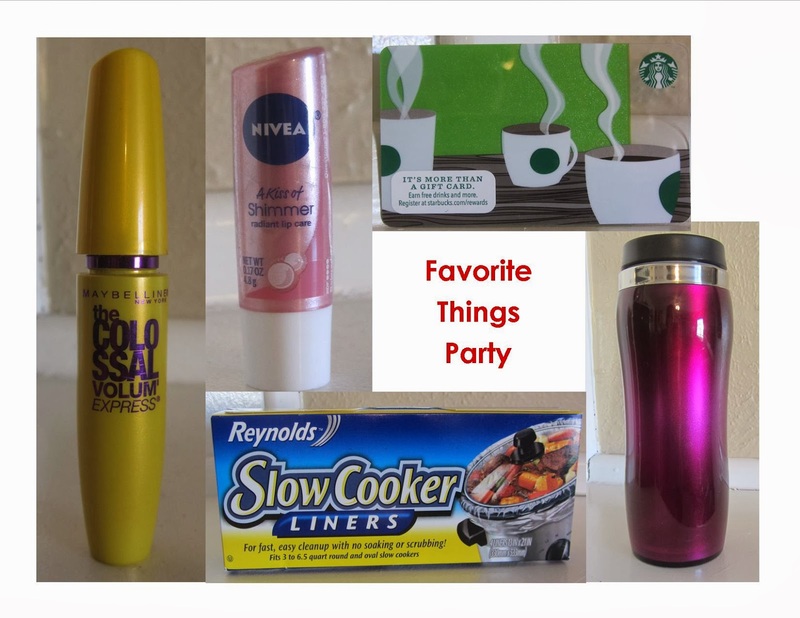 Over Christmas I went to 2 different favorite things parties and picked up some great products. Bring 5 of one type of item that is under $6 each. Wrap the items for added suspense. Write your name once on 5 slips of paper. Put everyone's name in a bowl and each person will draw 5 names. Make sure you get 5 different names and not your own name. Pass out your favorite item to the names you draw. Everyone takes home 5 new, fabulous products. Menu: This party works well for potlucks or dessert nights. Decor: If you are throwing this party for Christmas or Valentine's Day, then use the holiday decor. If not, try going with an easy theme. Stick with a color or pattern, and it will look great without a lot of fuss.